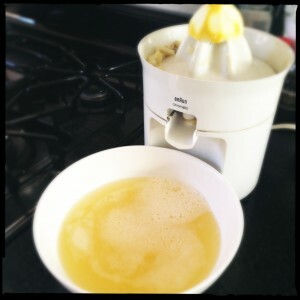 …Make lemon curd!! 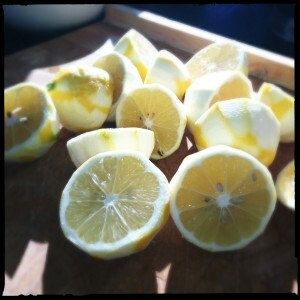 Especially if they are meyer lemons. And to be fair, life didn’t give them to me. The tree I bought last year potted did. Coolest tree ever – I call it my “Frankenfruit Tree”. 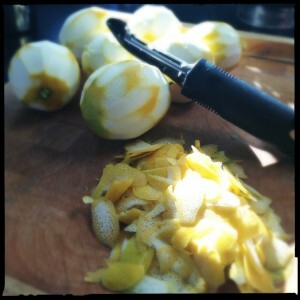 It grows three type of citrus: meyer lemons, bearss seedless limes, and navel oranges! Lemons with zest peeled off. The fruit ripened right before Christmas, a.k.a the perfect time to have a bumper crop of citrus to make gifts for folks. Everyone loves a homemade good around the holidays, right?! And if they don’t they better smile and say the like it… ha ha! I joke. Really…I do. butter I could find (organic pasture fed cows, high butter fat content blah blah blah) I set to work, zesting, juicing, creaming, and cooking. All in all, it’s a pretty easy recipe! 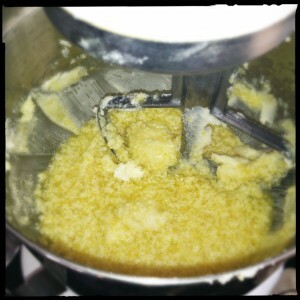 Lemon zest, sugar in a food processor, creaming that with butter, eggs, lemon juice and cooking until thickened. Things went pretty flawlessly and HOLY COW DID IT TASTE GOOD!! I ladled the curd into gift size jars and let them cool a bit before popping them in the fridge. The only thing I had to do was deliver them. I forgot to take pictures of the actual curd in jars. Trust me, it looked good. Yellow, creamy, and delicious. 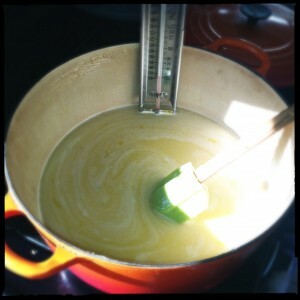 Oh – I almost forgot: I strained the curd even though Ina did not included that in her recipe. I guess it’s just a matter of taste but I like it velvety smooth. I got a few questions on what it was and what should be done with it. Ok more than a few. It’s lemon curd! Eat it with a spoon!! I love my grandparents juicer I inherited. They used it a lot in Phoenix on fresh citrus. I think of them everyt ime I use it! Put it on toast, over ice cream…some crafty coworkers even mixed it with their yogurt and blackberries. JUST EAT IT! SO GOOD! Although I thoroughly enjoyed making it, I was a bit sad to see the last of it go. Good news though…I just had a few more (the last) lemons rippen. MORE LEMON CURD!! 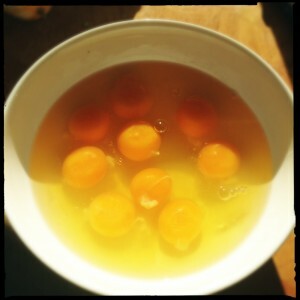 Happy Eggs are the best eggs! Nice and yellow yokes. 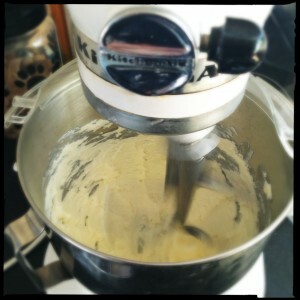 Creaming the sugar and butter. Is this why they call it “curd”? Thickened curd ready to go in little gift jars. YUM!! 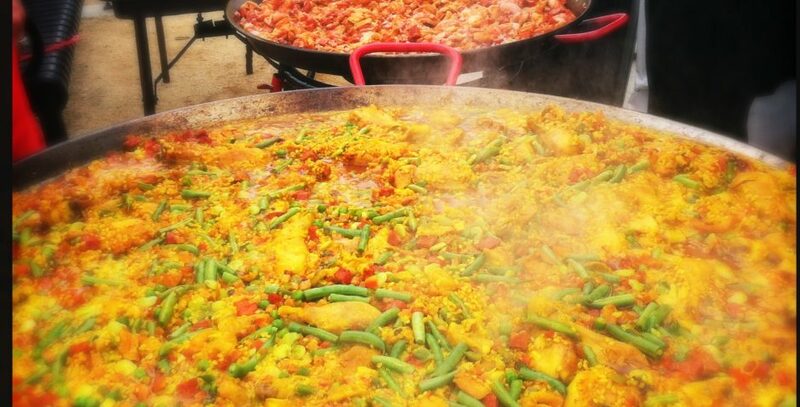 This entry was posted in Food obsessions. Bookmark the permalink. Looks delish! I made the Martha Stewart version and it was good too. She definitely has you strain the finished product. Lemon curd is amazing over fresh hot gingerbread!